Durga Puja, the most happening festival of the Bengali's can be sensed with its spurt of fanfare on all the four days of the Durga Puja festival. This autumnal festival popularly known as Sharodotsav, recalls the power of female Shakti. 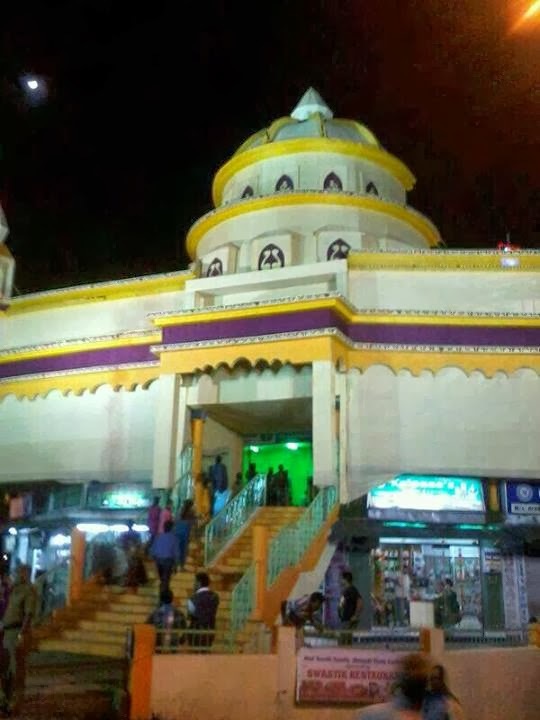 Bengalis all over the world during these days of Durga Puja rejoice to their heart's content reconnecting with friends and relatives. Durga Puja is an occasion when the familiar sound of Dhak, Dhunuchi nachh,the mild fragrance of Shiuli, gives a familiar tug to every Bengali heart. It is already described that people from various races, castes, creeds, religions from all over India adopted these islands as their place of settlement in addition to the local tribes and people from Mayanmar. The displaces persons from Sri Lanka and Bangladesh also brought certain cultural flavour with them. 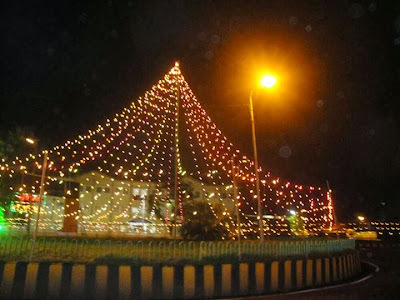 This created a news society, a new culture thus making the islands as "The islands of festivals"
Almost round the year festivals goes on right from New year to X-Mas and people irrespective of religion or creed celebrate all festivals together. One may notice Hindus and Christians joining Muslims to celebrate Id of Deepavali becoming festivals of all. Serenity of Buddhism is celebrated with equal zeal by others. 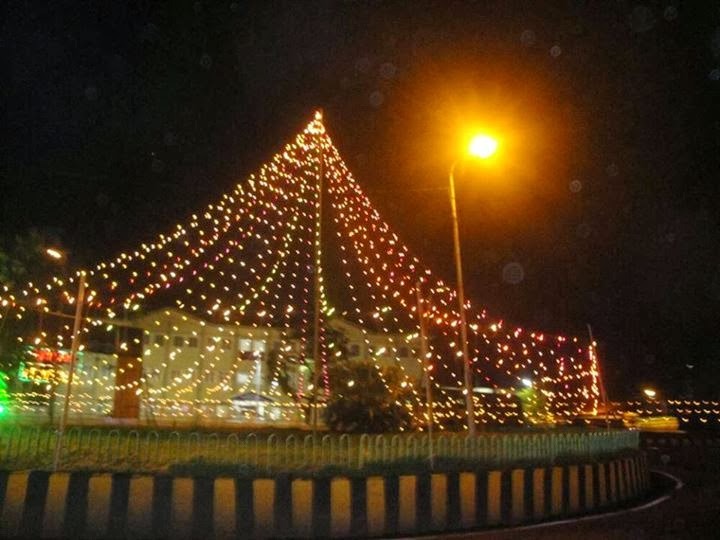 In fact all religions festivals takes the shape of secular look. Looking at the demographic character, Bengali population is more in the Islands, thus Durga Puja gives a special look for islanders particularly in Andaman District. It is celebrated by all with feasts cultural festivals and decorations. 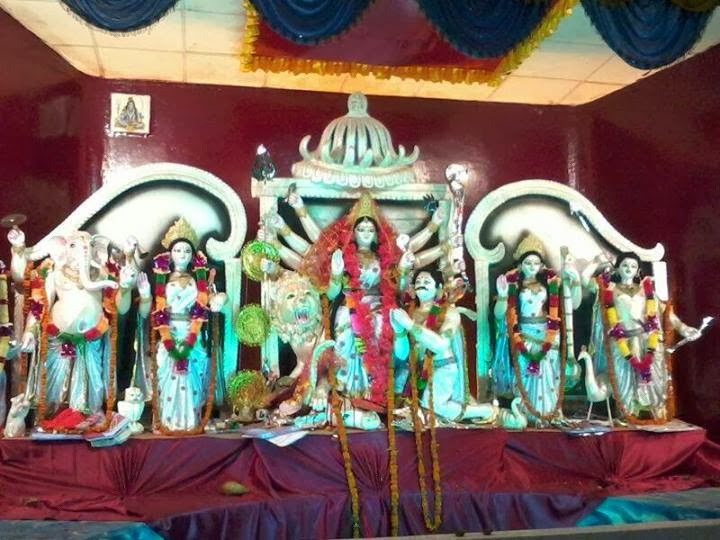 Historic Atul Smriti Samity, popularly known as Bengali Club, in Andaman and Nicobar islands has made grand arrangements for the coming Durga puja festival to mark its 67 year anniversary. The Historic Bengali Club was formed in 1946 a year before India’s independence by people coming from the then Bengal and various other parts of this country. Atul Smriti Samity was initially a library when it started and then its original name was Atul Smriti Samity Pathagar (Library) and was named after a Treasury Officer of British Regime in these islands.